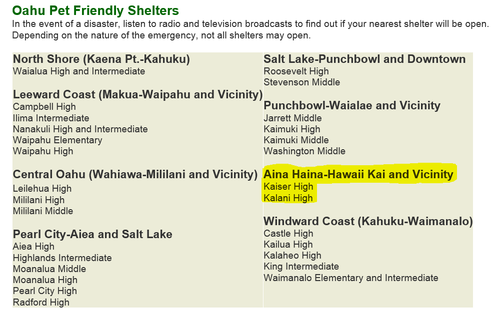 Take Hawaiian Humane Society's quiz to see if you're prepared to care for your pet during a disaster. 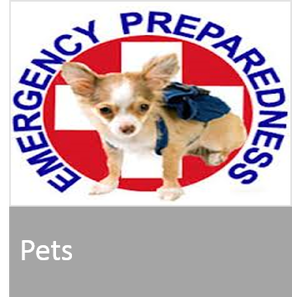 See Disaster Readiness brochure for more details. 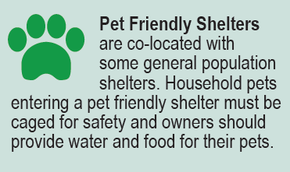 For further information, please visit the Human Society's "Make a Disaster Plan for Your Pets." Leave no pet behind. Take the pledge here. Print, complete and put this sign to the left on your house window. Make sure it is clearly visible from the street.